Reading tax law isn’t the most exciting way to spend an afternoon, so last tax season, in the interest of my own sanity and the enjoyment of my friends, I started doing ‘Friday Tax Facts’ on my social media . I used this opportunity to break down a sometimes painfully complicated and dry subject into short, accessible, and hopefully entertaining segments. Starting this Friday, October 9th, 2015, I will be continuing those literary masterpieces here on our website. If you have any topics that you’d like me to tear apart, or any comments on my blurbs as we move forward together into the future, please e-mail me at Nicholas@HoogendykTax.com. Thanks you all so much for your patronage to our practice, and I appreciate your taking the time to read these Friday Tax Facts. We are grateful for each and every one of you. Today's fun fact is more interesting than useful...unless, of course, you are a sub-par criminal. Way back in 1938, a wallet manufacturer wanted to set itself apart from the competition. They thought about how to do this and finally settled on making a special pocket in their wallet that would hold a social security card...because losing your wallet with your I.D. AND social security card beats just losing your wallet any day! To show off this little addition, the company put a dummy SS card into each wallet with the SSN# 078-05-1120. Human beings, being the brilliant species that we are, started using the number as their own SS number. By 1943, 5,755 people were using it. Were these a bunch of dummies using the same dummy number? Well, not quite. The SSN belonged to one Hilda Whitcher, a secretary, at the wallet company. In all, over 40,000 people have used this number as their own (some into the late 1970s). "They started using the number. They thought it was their own. I can't understand how people can be so stupid. I just can't understand that." I feel you Hilda...I feel you. Are you a small business owner? Yes? That’s wonderful. This country thrives because of people like you who are willing to put their heads to the grindstone, day after day and night after night, to keep the bullet train that is the American economy going. However, that won’t stop the IRS from closing you down and doing the hokey-pokey all over your shattered dreams. “Why would they do that?” you ask me. Payroll taxes, my friend…payroll taxes are the cause of all of your worries. If you have a problem paying your personal taxes, the IRS is willing to work with you, but if you aren’t paying your payroll taxes then here comes the storm. They want the taxes owed to them, and they want them now. Right NOW!!! The reason that this is such a big deal, aside from the IRS wanting the money owed to them, is that half of the money that is withheld from paychecks to pay Social Security and Medicare actually belongs to your employees. Tommy and Jen are allowing you to hold onto the portion of their paycheck to pay their social program dues, and if you’re using it to fund your business, the government has a big problem with that. It is such a big issue that the IRS can force you to close your business. They do have the ability to work with you on a payment plan, but don’t count on it happening. It’s easier for the agent to force you to close up shop than it is for them to have to come back later and play the bad-guy game again when you continue not to make your payments. So, let’s work together to make sure this never happens. ALWAYS pay your payroll taxes on time. Always. Forever. After a much needed Friday away to celebrate surviving the October 15th extension deadline, we're back at it taxing and facting our way into your hearts and minds. Today I'm going to touch on a subject that we've, unfortunately, still been seeing a lot of. Let me start by saying, THE IRS WILL NEVER INITIATE CONTACT WITH YOU VIA A PHONE CALL! I can't emphasize this enough. Nomatter how ademate the person on the other end of the line may be, nomatter what financial and criminal threats they may throw your way, do not give them a single piece of information about yourself. These people are professionals at what they do and have worked hard to learn the most efficient ways to scare people into giving them money. Their calls often come through on caller I.D. as being from the I.R.S. or as being from the District of Columbia area. These are cloned I.D.s. Please feel free to call us immediately if you get one of these calls, but also know, you can just hang up on them and not answer if they call you back. 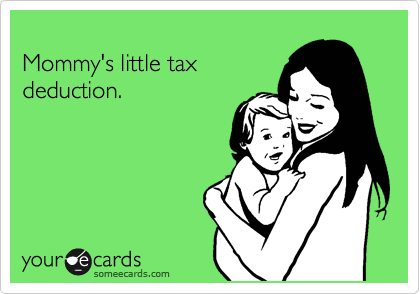 For those of you who have had to deal directly with the I.R.S., you know the routine they use to resolve tax issues. They send you a letter, you respond to the letter, and then the waiting game begins. They then respond to your response and the dance continues. So, if someone 'from the I.R.S.' calls you up and says that you need to pay them immediately, feel free to tell them what they can do with the tax they say you owe. Well, there it is! Have a wonderful weekend, and, as always, thank you for taking the time to read this. This one goes out to all of our friends who use contractors in their businesses (even when those contractors are family members helping you out with miscelaneous duties in your S-Corp)! Do you recognize this? 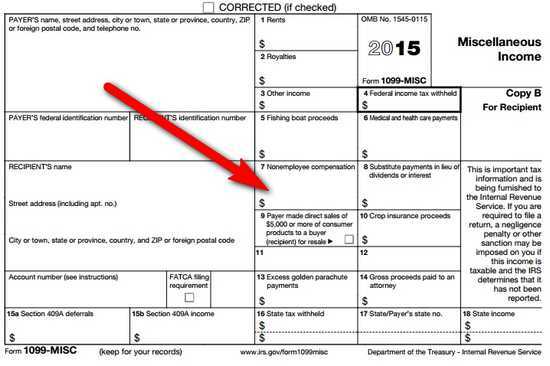 Whether you're a business owner, a worker in the on-demand economy, or someone who peruses the internet searching out random tax forms for fun (Tom Hoogendyk), you will have had your run-in with one of these 1099-MISC forms. These are the reporting forms that let the government know how much you've paid your contractors or how much you were paid as a contractor. They are only filed for contractors who are paid $600 or more. This also applies if you pay yourself $600, or more, in rent. While these reporting forms have always been important, we live in a brave new world where big data is king. I know this, the IRS knows this, and now you know this! "What does big data have to do with filing my 1099s?" you ask. Well, I'll tell you, and you're not going to like it. The Trade Extension Act of 2015 sets a penalty of $250 for every single 1099 you don't file! The penalty is doubled to $500 if the IRS thinks you have failed to file with 'intentional disregard.' Back in the days before we had to worry about our cell phones watching us sleep, these forms were very difficult for the IRS to track, and you were only really at risk for the above penalties if you were unlucky enough to have your name drawn out of the audit hat. But with big data, every form is scanned, analyzed, and linked to the corresponding tax return. The IRS has a big, digital brain that tracks everything going on in your business, and that brain is getting bigger and more sophisticated every year. Join me for an example. You own a business that makes designer coasters. It's a small business that you mostly handle on your own, but every year near Octoberfest you get a huge order that you need outside help with. In order to meet the demand you hire three contractors. 1) Coaster Painters, LLC comes in to paint some beautiful brew themed designs on the coaster. You pay them $1,000. The year closes, and you send out 1099-MISCs to Coaster Painters and We Polish Coaster but don't send one to Kevin. When you fill out your tax return for your business, you list $3,000 worth of contractor expenses that offset your income. That big, digital brain at the IRS gets your 1099s and your tax return and cross-references all the forms and sees that you claimed a $3,000 deduction but that you only reported $2,000 in contractor expense via 1099s. They automatically disallow the missing $1,000 of deduction until you provide them with a 1099 for Kevin, and then when you provide them with one - BAM - they hit you with the $250 penalty if you're lucky or the $500 penalty if you're everyone else. So, what's the moral of this story? The moral of this story is that computers are out there, they know where you live, and they're coming for you...that, and ALWAYS file ALL of your 1099s in a timely fashion (January 31st if you're a calendar year company). On that cheery note, have a wonderful weekend, and thank you for taking time to read this! This FTF is as short and sweet as David and Angela Boyter’s marriages. For two years in a row, the couple decided to spend the last week of the year together in some beautiful foreign location. After they had taken in all the sun and fun they could handle, they would get divorced. The perfect ending to a beautiful vacation…right? Well not exactly, but some people will do anything for a buck. After their adventure, they would fly back to the U.S. and get remarried at the start of the New Year. This wasn’t because they had a sudden change of heart. The reason that they did this was that it allowed them to file their tax returns as if they were single on December 31st, which happened to save them both significant amounts of money because of a nasty little thing that we call the marriage penalty. Inadvertently, the tax law has areas where it penalizes married couples – often by causing the couple to pay tax in a higher bracket once all deductions are taken into consideration. If this doesn’t seem fair, it’s because it’s not… in my humble opinion. You probably just should never get married. That way you never have to worry about this issue – unless of course you’re blinded by love or something. Than go for it I say because what’s money compared to love. Why don’t you have a seat. We need to talk. Chances are, you’ll never have to deal with an audit, but if you do, I’m here to offer you some advice to help you save yourself…from yourself. IRS agents, much like Sean Connery’s James Bond, are skilled in the art of interrogation. Every word that comes out of your mouth during an audit can mean the difference between life and death by one thousand source-document papercuts. So take heed my friend. These are three things that you should never say to the IRS. NEVER tell the IRS anything unless they have specifically asked for the information. While the agents are generally good folks, remember that they aren’t your friend. NEVER tell the IRS something that you know is not true. This seems obvious, but let’s be real here. People panic and say things without thinking. You may not be trying to lie, but the IRS doesn’t care. Take a minute, compose yourself, wipe away the single tear you’ve just wept, and give the agent an honest and measured answer. If you don’t, they might start throwing the word perjury around. NEVER tell the IRS you knew what you were doing. The tax code is complex, and chances are that the IRS agent doesn’t understand it much better than you do - so they’ll appreciate your being candid. It may just save your hide in the end. That’s it! Get back out in the world, and have a lovely Thanksgiving. Thank you for taking the time to stop by and read this. Happy New Year from all of us here at Hoogendyk & Associates! We hope that you enjoyed your holidays and got to spend some much needed time off with your family and friends. Now that everyone is back to the grind, we think that the best way to start off this beautiful new year is with some good news, so let’s have at it. You have a new friend if you owe money to the IRS and can’t pay it. “A new friend? !” you squeal excitedly. Yes…and that new friend is the IRS. As a result of budget cuts and short staffing, the IRS is much more open to cutting you a break on the taxes you owe them if life has decided to put you in a rough spot for the year. The tool we use for this is the offer in compromise, and it’s exactly what it sounds like it is. The OIC has been around for a long time, but what’s different now is that your IRS friends are more likely to let you use it than they used to be. Let’s take a quick look at it. Jim loses his job. Jim has an unexpected (read expensive) medical procedure shortly after his job ends. No one will hire Jim. Jim owes $15,000 in tax for 2015. Jim is not having a great year. So what does Jim do? Well, he comes in to Hoogendyk & Associates and we help him file an offer in compromise with the IRS. Being the understanding folks that they are, the IRS asks Jim what he can pay them and the parties work out an agreement. As long as Jim keeps both his current year’s (2016) taxes and his payment plan payments for 2015 up to date, the IRS will let him pay the smaller amount they agreed to for 2015. However, if even one payment is missed, the whole amount comes due immediately (scary stuff). Jim does keep current and pays off all of his OIC and watches the IRS ride off into the sunset never to be seen again…until next year. The moral of the story is that if you have taxes due and life throws you a curveball, the offer in compromise is a great tool that you can explore using. Because let's be real here - life can be hard. Thanks for taking the time to read through this, and thank you all for your friendship and business.